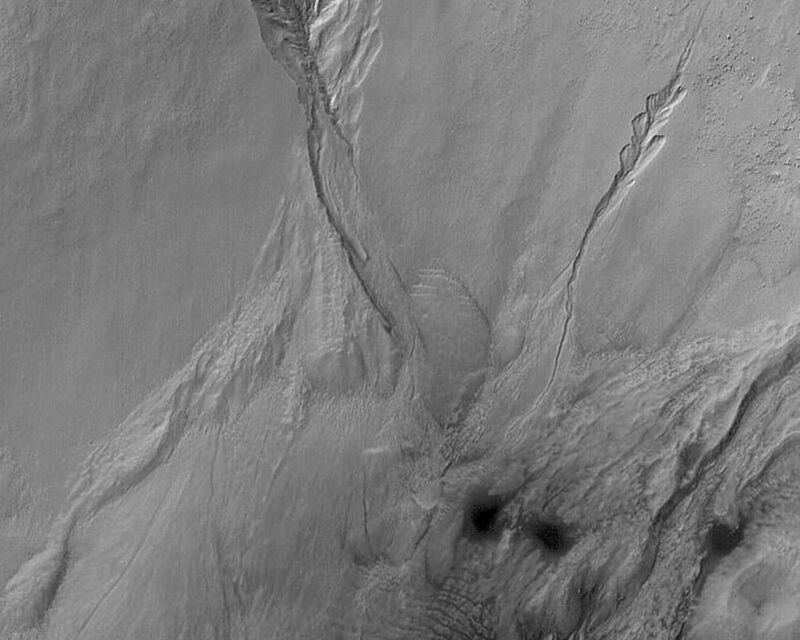 This Mars Global Surveyor (MGS) Mars Orbiter Camera (MOC) image, acquired in March 2004, shows gullies formed in the wall of a south middle-latitude crater wall near 39.7°S, 208.6°W. 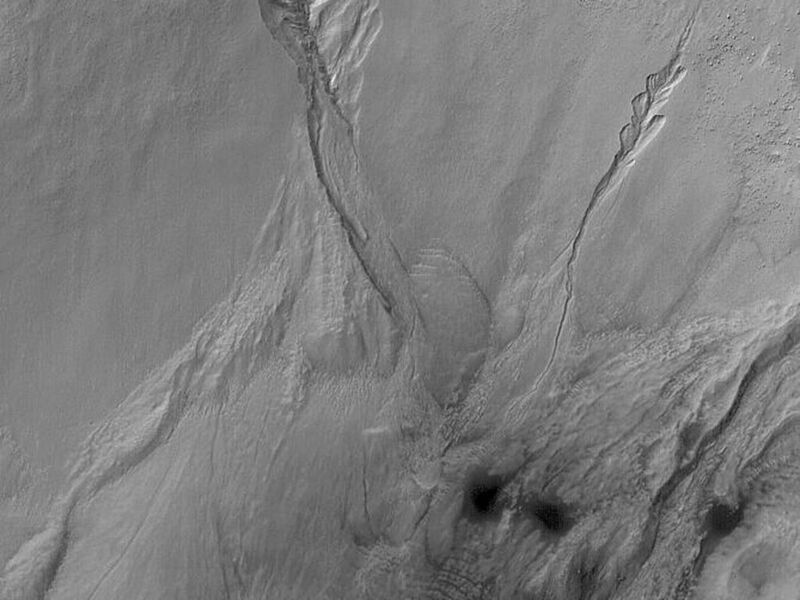 The banked, curved nature of the channels in each gully are among the key indicators that a fluid, such as liquid water, may have been required to form them. 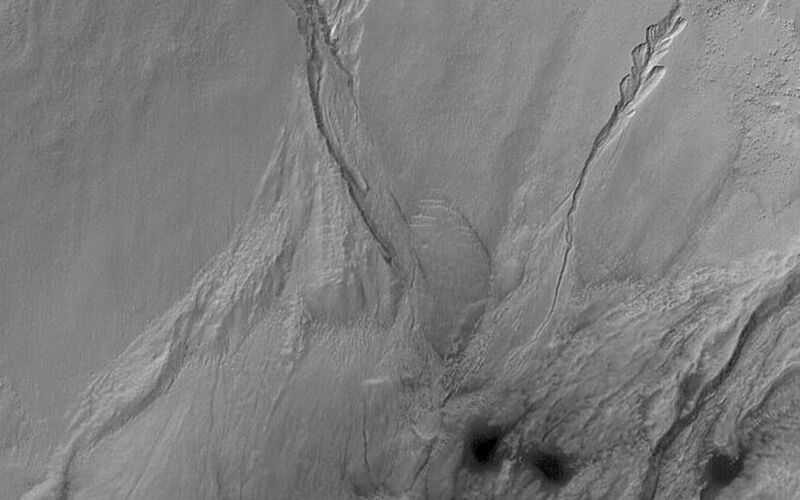 The picture covers an area about 3 km (1.9 mi) across and is illuminated by sunlight from the upper left.